A decision on a key permit for Central Maine Power's (CMP) controversial western Maine transmission project will be delayed by three months. The Public Utilities Commission (PUC) ordered a new schedule after opponents complained that CMP had deluged them with a late-filed "document dump" of nearly 100,000 pages, which was impossible to wade through, they said, on the original timeline. The Commission is pushing the target date for a decision from December to March. Project spokesperson John Carroll says the delay won't affect the project's ultimate schedule. "The fact that this one step in the process is delayed doesn't really affect the rest of the permitting we have, with either the state environmental agencies or with federal agencies,” Carroll says. “So it doesn't affect our endpoint for the process, which is really late 2019." But opponents see an opportunity. They say they will use the time to more thoroughly examine CMP's claims about the project's financial and environmental benefits for Maine. And, they note, the permit decision will now fall under the watch of a new governor — possibly one less supportive of the project than outgoing Gov. Paul LePage. 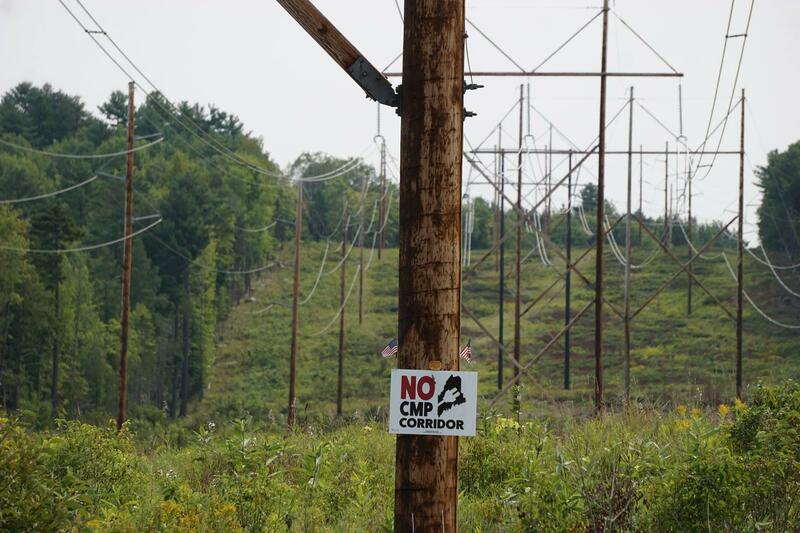 State regulators Friday suspended hearings on Central Maine Power's (CMP) proposal to build a 145-mile high-voltage transmission line in western Maine. The move comes after project opponents complained that CMP had overwhelmed them with a last-minute "document dump" too big to wade through within the allotted time.